Photograph courtesy of 3 Porch Farm. 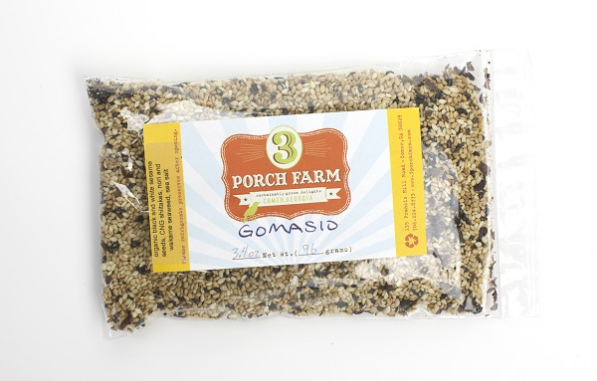 Why you should buy it: Gomaso is a dry seasoning (similar to Furikake) made with toasted organic black and white sesame seeds, seaweed, shiitake mushrooms grown on Sweet Gum logs, and sea salt. It’s the type of thing you can use to kick up the flavor on hard-boiled eggs or in potato salad. 3 Porch also sells an amazing assortment of fresh flowers and dried shiitake mushroom salt, which adds an earthy punch to any dish. Where to get it: Freedom Farmers Market, and Buford Highway Farmers Market. Why you should buy it: The Oliver Farm, located near Pitts, Georgia, opened in 1903 and has been passed down through five generations of the same family. Their cold-pressed oil, made with either granite millstones or stainless steel presses, is never heated above 120 degrees Fahrenheit in order to preserve the flavor and nutrients of the sunflowers, peanuts, and pecans. The result is a clean oil that tastes like its source, rather than just tasting processed. Look for green peanut oil (made with local peanuts), okra oil, and benne seed oil. Where to get it: Freedom Farmers Market, Peachtree Road Farmers Market, and Buford Highway Farmers Market. 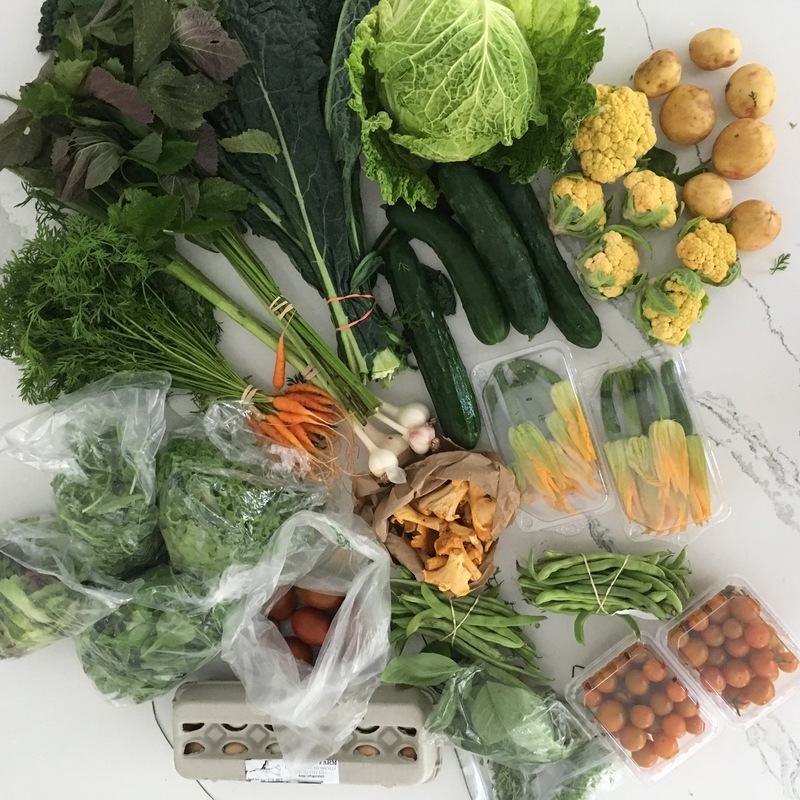 Why you should buy it: This farm grows exceptional vegetables, and their bags of arugula alone are worth a trip to the market. Each bag contains enough for two salads for one and tastes far better than the overly spicy arugula you buy out of a clamshell box at the grocery store. Why you should buy it: Valhona Shrimp company fishes wild-caught Georgia shrimp, clams, crabs, oysters, and a variety of native Georgia finfish and packs it directly for the market. Valhona’s shrimp are some of the freshest I’ve had in recent years, with a nice snap (assuming you don’t overcook it) and a slightly sweet taste. It’s perfect on grits or in a scampi with pasta. Where to get it: Valona rotates through Grant Park and Freedom Farmers Market seasonally, so it’s best to keep up with them on Facebook. Why you should buy it: Store-bought pork chops have nothing on these inch-high beauties from Riverview Farms, which is located in Ranger, Georgia. Riverview has a presence at nearly every farmers market in town, so if you see them, be sure to stock up. Pop the pork chop package in a freezer bag and store them for quick mid-week pan-fry. Why you should buy it: Wherever baker Sarah O’Brien sets up shop, there is going to be a line. Your mom taught you that good things are worth the wait, and O’pastries are definitely worth standing in the Georgia heat for. When I visit her at the Peachtree Road Farmers Market, I beeline immediately for the fruit desserts, specifically, her Gateau Basque, which tastes like a crumbly sugar cookie filled with seasonal jam. Paired with a cup of coffee, it’s perfect breakfast to munch on while I shop. I also always pick up a seasonal fruit tart to serve after dinner that evening. Recently, her strawberry and peach varieties have made me give up all attempts to make my own. Where to get it: Little Tart makes its way around many local farmers markets (including Peachtree Road and Grant Park) and also has physical locations in Grant Park and at Krog Street Market.